Despite criticism over Trump's handling of the summit, GOPers are backing him. As the Republican Party grapples with the fallout from President Donald Trump's summit with Vladimir Putin, GOP candidates in key races, including a number of ABC News' "18 for 18" contests, are standing firmly by the commander in chief is his efforts to thaw the frosty relationship between the United States and Russia. Trump on Thursday tweeted that the summit was a “great success” and labeled the “Fake News Media” as the “real enemy of the American people,” for criticism of how he handled the summit. The stand by Republican candidates comes as a CBS News poll released Thursday shows that while just 32 percent of Americans overall approve of President Trump's handling of his summit with Putin, 68 percent of Republicans back the President's approach. While a familiar chorus of GOP senators, including Jeff Flake and John McCain of Arizona and Bob Corker of Tennessee, swiftly rebuked Trump for his performance alongside Putin, Republican candidates in U.S. Senate and House races around the country are again showing their loyalty to Trump. This latest episode is another stark reminder of Trump's looming presence over this midterm cycle, and another instance of the GOP's reticence to break from the president when controversy arises. 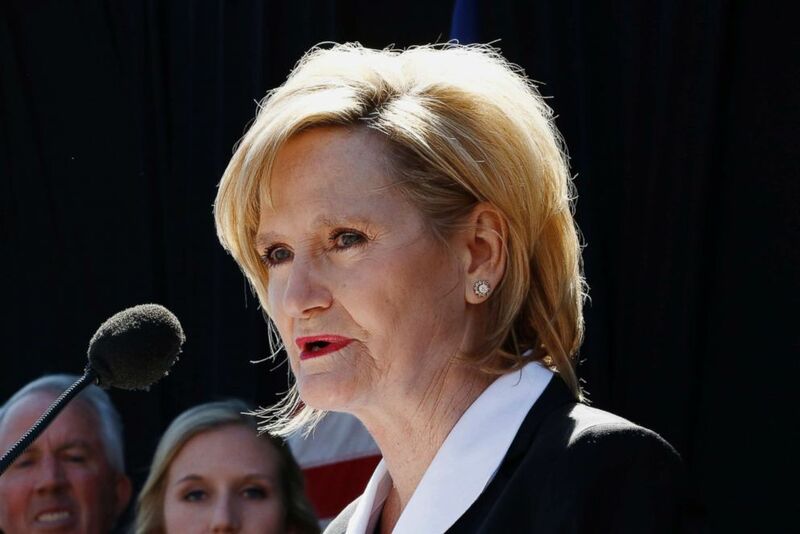 Sen. Cindy Hyde-Smith and state Sen. Chris McDaniel, the two leading Republican candidates for one of Mississippi’s U.S. Senate seats up this cycle, both deflected criticism aimed at Trump over his handling of the Putin summit. (Rogelio V. Solis/AP) Mississippi Agriculture Commissioner Cindy Hyde-Smith speaks, March 21, 2018, in Brookhaven, Miss. “I know Russia’s bad acts are clearly the cause of strained relations with the United States and our allies, and I believe we should all support the administration’s actions to stop the discord being sown by the Putin regime,” she added in a statement released Tuesday. There is no primary ahead of the November special election for this seat, triggered by the resignation of Sen. Thad Cochran in March due to health issues. The leading Democratic candidate for the seat, former congressman and U.S. Secretary of Agriculture Mike Espy, does not appear to have released a statement on the summit. In one of this cycle’s marquee U.S. Senate races, the Republican candidates vying to replace the retiring Sen. Jeff Flake offered Trump varying levels of support following the summit. State Sen. Kelli Ward and former Maricopa County Sheriff Joe Arpaio, who have each been eagerly courting Trump voters ahead of the August 28 primary, both rejected the criticism leveled at the president over his handling of the summit. 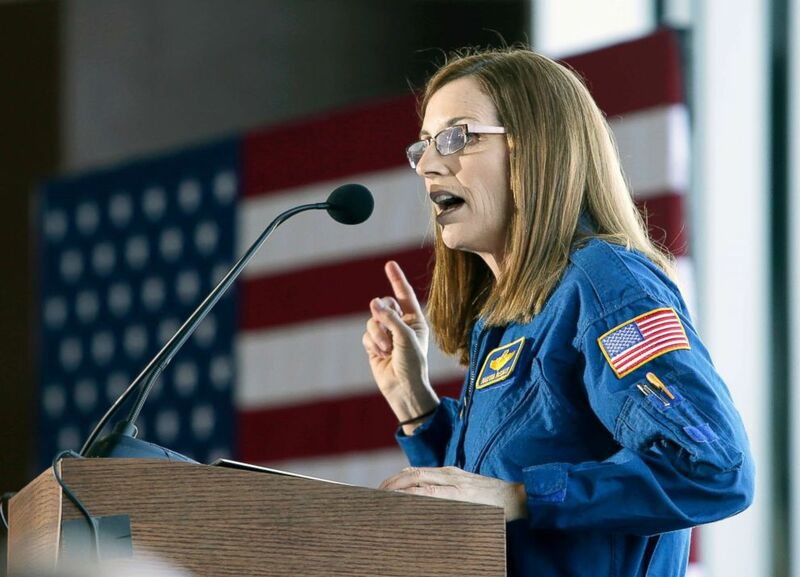 (Rick Scuteri/AP) Rep. Martha McSally speaks at a rally, Friday, Jan. 12, 2018, in Tucson, Ariz.
Rep. Martha McSally, who is straddling the difficult line between courting Trump supporters and not alienating more moderate voters in Arizona, issued a statement that was part praise and part critique. 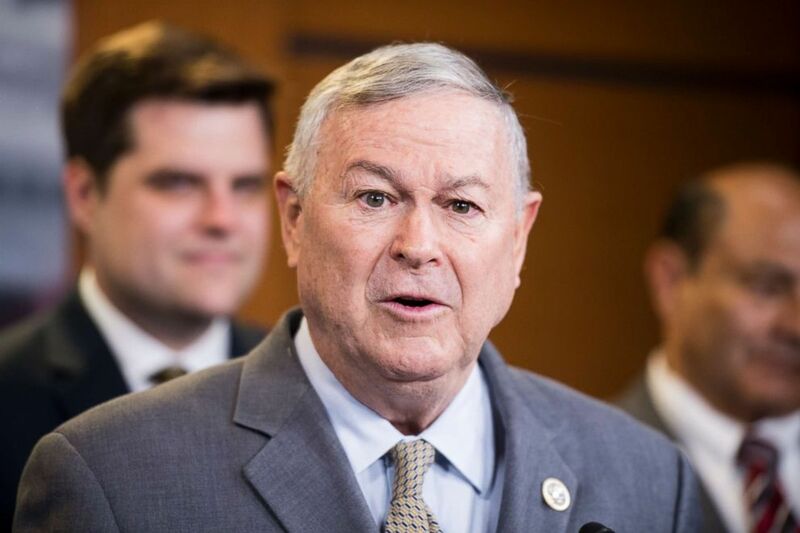 One of the most controversial members of Congress when it comes to Russia is Orange County Republican Dana Rohrabacher, who has recently faced questions over his ties to Russia, told Bloomberg that the U.S. meddles “all over the world at a much higher rate than what Moscow does,” in response to Trump’s handling of the summit. (Bill Clark/CQ Roll Call via AP) Rep. Dana Rohrabacher participates in a press conference on medical cannabis research reform, April 26, 2018 in Washington, D.C.
“The bottom line is that it’s so arrogant and so evidently political and an attempt to undermine and disrupt this president’s right to be president that it should be obvious to the American people,” Rohrabacher added. In Florida, where primary day is now less than six weeks away, the Trump-Putin summit has garnered a range of reaction from Republican and Democratic candidates in both the U.S. Senate and gubernatorial races taking place this cycle. GOP Rep. Ron DeSantis, who has President Trump's endorsement, attempted to shift the blame for Russian aggression onto President Obama, and claimed that the Trump administration “has been tougher on Russia” than his predecessor during an interview with Fox News earlier this week. In the U.S. Senate race, Florida’s Republican Gov. 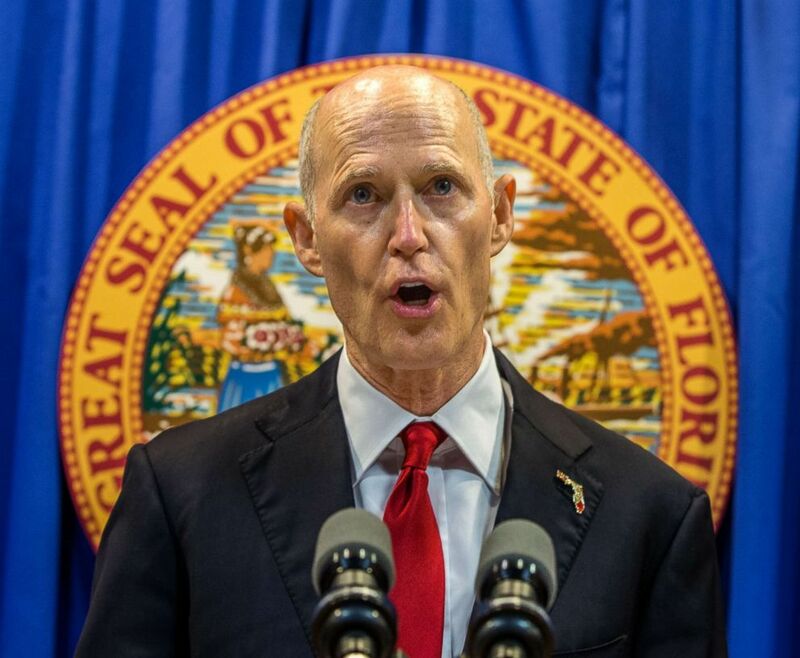 Rick Scott, who is running for the seat held by Democratic Sen. Bill Nelson, distanced himself from Trump’s approach at the summit. (Mark Wallheiser/AP) Florida Governor Rick Scott lays out his school safety proposal during a press conference at the Florida Capitol in Tallahassee, Fla., Feb 23, 2018. Prior to Scott's comments, Nelson wrote on Twitter of the summit, "Donald Trump sided with Putin over the people of the United States," and attacked Scott for not speaking out sooner on the issue. Floridians need a senator who will stand up to Trump, especially when our democracy is under attack, and Rick Scott's refusal is just another reminder that he's only looking out for himself. In New Hampshire's 1st Congressional District, Republican candidate Eddie Edwards said that he agrees with the U.S. intelligence community's assessment that Russia interfered in the 2016 election, but then chastised some members of Congress for their refusal to criticize the Obama administration's approach to U.S.-Russia relations. "These members should remind themselves that they remained silent when the previous president’s administration refused to address Russia’s interference at the time it was occurring," Edwards said in a statement, "Our president has been forced to take on this issue, and like so many other issues he has been forced to handle, is doing so because previous administrations and Congresses have lacked the courage and have failed to do their jobs." Two Democratic candidates in the race each issued statements harshly critical of Trump. "The president has wrecked our standing in the world and desecrated the values that should guide American diplomacy," said Democratic candidate Chris Pappas. "To witness yesterday’s shameful performance and do nothing is to set a new normal for the rest of American history," said attorney and Democratic candidate Lincoln Soldati, "Congress cannot sit by and allow this President to destroy the integrity of American democracy – Congress must act now." In Texas, where Democratic Rep. Beto O'Rourke is mounting an aggressive challenge to GOP Sen. Ted Cruz, the Russia summit prompted heated responses from both campaigns. In response to a question from the Dallas Morning News, O'Rourke said that if he were asked to vote on impeaching President Trump, he would vote yes in light of the president's press conference with Putin. In response, Cruz said the congressman's comments make him "so radical and reckless that he is unfit to serve in the U.S. Senate." Like Scott, there have been numerous Republicans who sought to distance themselves from Trump on the Russia issue, although that group appears limited to those facing tough re-election battles in swing districts. 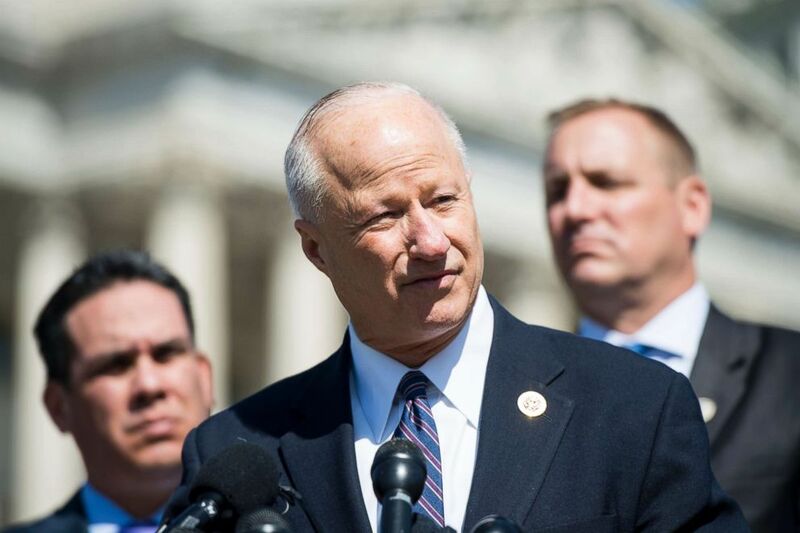 Rep. Mike Coffman, a Republican running in a consistently competitive district in the Denver suburbs, slammed Trump for his initial willingness to accept Putin's denials that Russia meddled in the 2016 election. (Bill Clark/Getty Images) Rep. Mike Coffman, R-Colo., speaks during a news conference on the use of the "queen-of-the-hill" rule for DACA legislation in the House on April 18, 2018. "President Trump should never take Putin’s word at face value and should give greater consideration to U.S. Intelligence agencies over the Kremlin’s rhetoric," Coffman said in a statement. GOP Rep. Keith Rothfus, running in a newly-drawn district in the Pittsburgh suburbs against Democratic Rep. Conor Lamb, did not call out Trump directly in his response, but said the U.S. "should be prepared to stand up to Russia's efforts to harm our country and undermine its institutions." "There should be no ambiguity about the fact that Russia is a hostile nation that interfered in our election and that it continues to target our democratic allies around the world," Rothfus said in a statement. ABC News' Esther Castillejo, Adam Kelsey, Meghan Keneally, Nia Phillips, Dom Proto and Lissette Rodriguez contributed to this story.